He poses as our coach now, but the former Milan champion is more like a really Bad Santa. We expect him to bring us all of our dreams, but in the end, we’re lucky not to get roughed up and thrown in a dumpster or something. Which is what this game felt like this week. After Bad Santa stole our team’s teambuilding Christmas dinner and forced them into the always ineffective and inexplicably punitive ritiro all week, nearly 46,000 fans at the San Siro faithful added insult to injury and abused not only Gigio, but also the entire team after they failed to rise above the negative abuse from their coach this week. And the result was a painful loss at a time of the year when alcohol is already too plentiful. Perhaps if our Bad Santa had just been a little more jolly and used positive motivation instead of treating our players like children, this painful loss could have easily been avoided. Don’t get me wrong, the players have their part in this mess. But it’s difficult to blame them for the last five years of the Berlusconi era; the year with basically no reinforcements; the ownership change; the management change; the Donnarumma saga, with all parties, especially fans, to blame; 11 new players purchased in a single transfer window; Montella sacked and Gattuso promoted, despite being an inferior coach in every way; UEFA rejecting our voluntary FFP agreement; more questions about ownership rising without any answers from the club; the club struggling to refinance the ridiculous hedge fund loan; Donnarumma abused again by fans despite literally saying or doing nothing – all parties indicate that it was all fabricated by outsiders… I mean there’s probably more that I’m forgetting, but that’s a hell of a lot for a club to deal with, particularly with most of it in less than a year. Anyone who knows about organizations or sports teams knows that with so many distractions and unanswered questions, it is going to show up in the results on the pitch. Almost any one of those things could impact a team for the worse, and the players carry the weight of all of them simultaneously. We don’t even need Bad Santa. This match had all of the makings of a family Christmas dinner gone wrong, though. 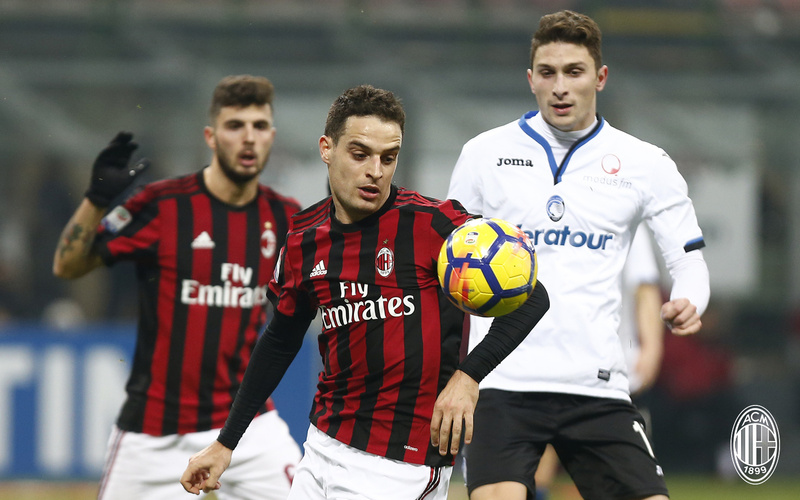 Starting in the 13th minute, when Bonaventura thought he scored, but VAR showed not only a Cutrone handball but also that Bonaventura was offside, one got the feeling that it would go from bad to worse. And it did. Borini, the incredibly fit player that he is, fired at will, but was never on target. Because he embodies our impotent strike force right now. Milan fired 23 shots in all, yet only five were on target, and we scored a whopping zero. Zero goals. From 23 shots. Gattuso is so focused on the defense, does he not see that our offense is as sterile as the hottest desert? I mean I give him credit for sorting out the four man backline. And he’s right about the way we’re conceding goals on the counter. Although he forgot about those cursed set pieces that have come back to haunt us. But in addition to not conceding goals, you have to score some goals sometimes to actually take the three points. And with six games under his care, we have only scored seven and conceded eight, failing to score at all in three of those six games. Both not scoring and conceding too many are huge problems, and yet if you solve one, the other tends to fall in line. But I digress… from bad to worse… our ex, Cristante, who left Milan for Benfica and more playing time under Allegri’s reign, is on his third loan spell from that club. 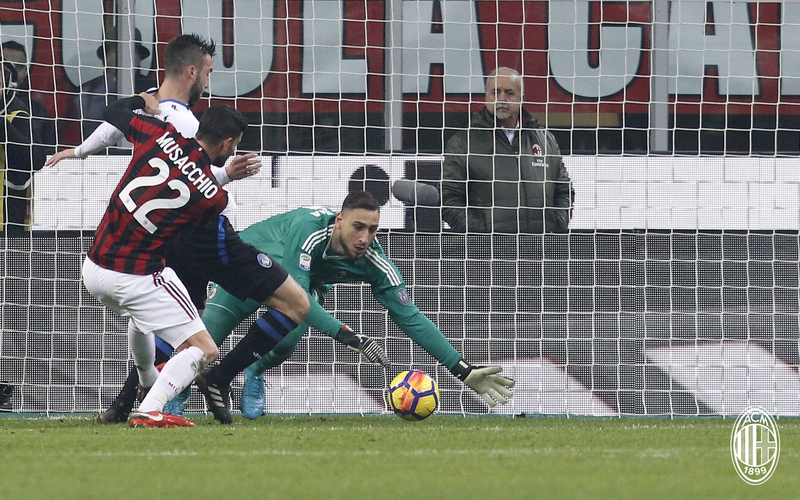 Today, he came back to haunt us with a goal from a set piece, in which Gigio punched away the initial header, but Cristante slid in for the rebound and made it 1-0 Atalanta. And that was all it took. 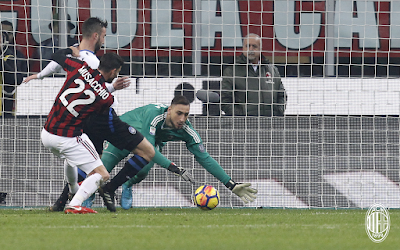 Milan, whose mentality was a bit fragile when Bad Santa signed on, will now wilt like a delicate flower on a summer day at the first goal conceded. Mentally, at least. To their credit, they certainly put forth the physical effort. But if they were already fragile mentally after the Cristante goal, they were probably clinically depressed after the Ilicic goal in the 71st. 2-0 Atalanta. With their “supporters” whistling them and more, it was probably almost too much to bear. I’ve said it dozens of times: just absorbing 11 new players into a team is unheard of, and I’m not sure it should have been done – for the team on the pitch or for FFP purposes. It was a huge gamble, and it is backfiring in a very bad way for the club. But not only are Milan fans not patient enough with that fact, they are now apparently actively chasing ghosts and lies to justify abusing our own player, which is horrific. Even the Grinch’s heart grew three sizes and he was a changed person after his initial mistake. But after this summer, Milan fans have become more Emperor Palpatine than reformed Grinch. And they have impacted the team as much as anything else. Imagine, asking your team to win, but abusing them along the way, preventing what it is they are actually asking for? Perhaps the fans of the Curva and social media could use some extensive psychotherapy? But the one who needs the magic wand of a therapist is Bad Santa. Except he’s not very touchy feely… wait, poor choice of words. He’s not very hands on… wait, his assistant at Pisa could testify otherwise. The man is not as good with the emotional or intellectual stuff as he is with the physical stuff. Which he proved this week by taking away the teambuilding, feel-good Christmas dinner and cramming a useless and actually likely harmful week long ritiro down the throats of our already beleaguered players. Denying them their families at the time of year family is so important. I really don’t understand how anyone was expecting a win under such ridiculous circumstances. Especially when Milan are now under the rule of one very Bad Santa.